Free 2D and 3D CAD files of millions of mechanical parts and fasteners. It can be tricky to incorporate commercially available parts and fasteners into a digitally designed product, but this handy digital library makes it a little easier. 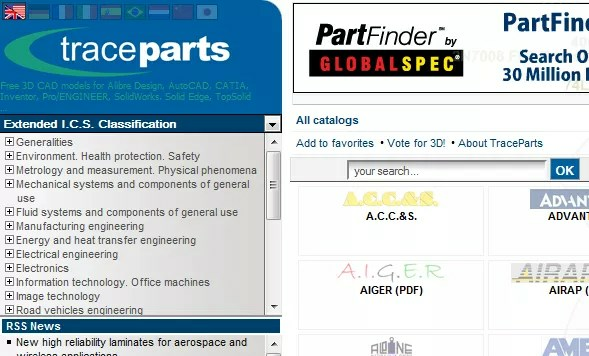 Traceparts provides 2D an 3D pdfs and CAD files of millions of parts, fasters, and components, all for free. Take a look at it when you?? ?re working on your next difficult project. ← 3D printed working flute!